1. You can go to > Lists > Subscribers Filters > Filters. 2. 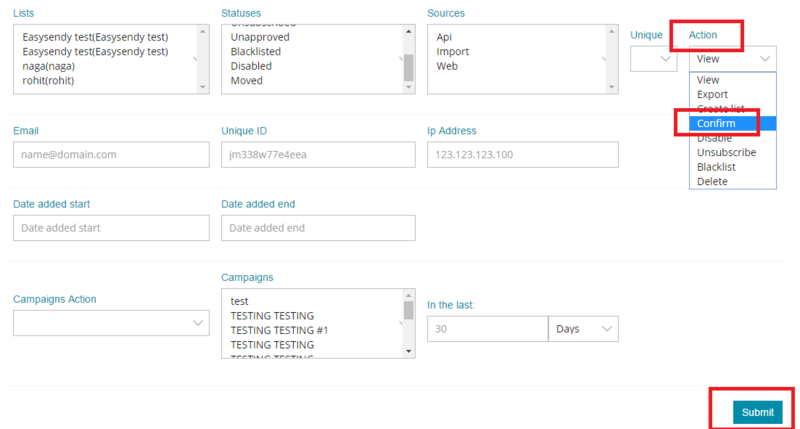 Now, you can filter all your subscriber from all your list, for this, you can choose the List Name, or you can also select from the last campaigns which you sent earlier and Status from (blacklisted). 3. From “Action” tab, present on the screen you can choose “Confirm“. After this, click on “Submit” button as shown in below screen. 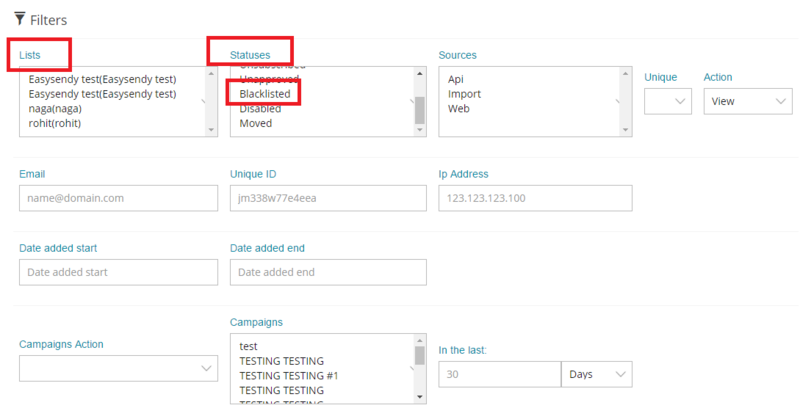 Finally, you will see all the updated details from blacklisted to confirm appearing below the screen of the same page.